Leave your luxury vehicle with the independent Mercedes-Benz specialists – Ammstar Exclusive. The dealership isn’t the only option when your Mercedes-Benz starts warning you that it needs a routine service – there’s an alternative to dealership servicing! At Ammstar, we employ 17 specialist mechanics. 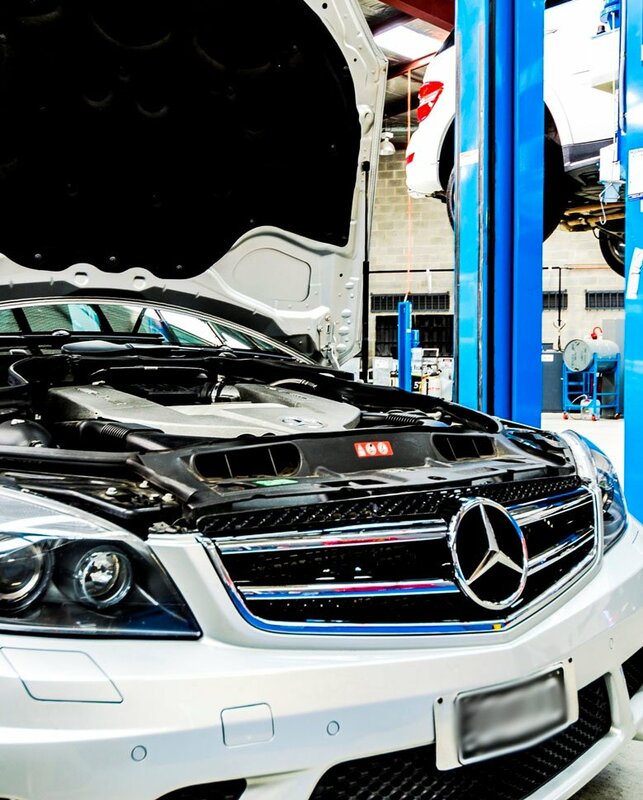 Their unique Mercedes-Benz knowledge allows us to perform all manner of repairs, whether you need deep repairs, routine service or fixes for obscure problems. If you’re a Mercedes-Benz owner in Toorak, skip the dealership and come straight to Ammstar to receive exceptional service without the exorbitant overheads. Our specialist Mercedes-Benz mechanics in Fairfield perform service on out-of-warranty and vintage vehicles too! While newer vehicles just out of or still under warranty make up the bulk of our work, they’re not the only vehicles we service. Mercedes-Benz make more than just cars – for many, they’re investments. Just like a premium Swiss watch, Mercedes-Benz cars are built to last, and many end up being passed down through multiple generations. It doesn’t matter whether you own a new CLS 4 door coupe that’s in need of servicing or a lovingly preserved vintage 1969 280SL Pagoda. As long as it has the three-pointed star, we can look after it – after taking a couple of minutes to admire it, of course! Whether it’s new or old, your Mercedes-Benz is valuable. We know it’s hard to entrust it to somebody new. At Ammstar, when we say we specialise in Mercedes-Benz, we mean it! Each of our specialist mechanics understands the unique quirks associated with the three-pointed star. Our specialist mechanics are intimately familiar with the different system, parts and technology that make your Mercedes-Benz so unique. Moreover, eighteen years of servicing Mercedes vehicles mean we’ve seen a lot of the same models come in and out. We’re intimately familiar with each model’s unique quirks and have perfected the right solutions. We’re even able to ascertain whether your car is “off” based on feel alone – try finding a corner mechanic who can offer you that!